Media watchdogs, including a UN body, have urged Turkey to conduct a swift and impartial probe into the murder of Naji Jerf, a prominent Syrian journalist. Meanwhile, Reporters Without Borders expressed doubt that Ankara will meet the demands. “We strongly encourage the Turkish authorities to shed light on the murder as soon as possible and to conduct a full and impartial investigation,” Johann Bihr, head of Reporters Without Borders (RWB) for Eastern Europe and Central Asia, told RT. However, he stressed that crimes against representatives of the media are “rarely fully investigated” in Turkey. “Unfortunately, we have to note that impunities are absolutely widespread [in Turkey] for cases of violence against journalists – not only murders, but there are wide-spread attacks against journalists, for example, by police officers,” Bihr said. 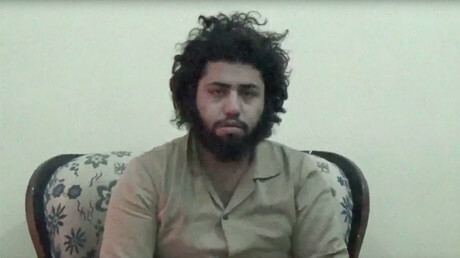 The author of several anti-Islamic State (IS, formerly ISIS/ISIL) documentaries, Naji Jerf, was shot in the head in broad daylight in the city of Gaziantep on Sunday. He became the third Syrian journalist to be assassinated in Turkey over the last three months after Ibrahim Abd al-Qader and Fares Hamadi were found dead an apartment in the town of Urfa in October. The attacks on the Syrians were claimed by IS jihadists, who control large parts of land in Syria and Iraq. “The situation is getting really dangerous. And we are really concerned about the chilling effect such incidents might have on colleagues; on all the other Syrian journalists and activists exiled in Turkey,” the RWB representative said. “The situation is deteriorating because ISIL militants somehow find it easy to cross the border in one sense or another,” he added. The president of UN Correspondents Association, Giampaolo Pioli, said that it’s Turkey’s “moral obligation in front of the world” to find the killers of Jerf, editor-in-chief of the independent monthly Hentah, as the attack happened on its territory. “If this crime remains unsolved – especially, in the country like Turkey that has also problems with internal press that’s sometimes is jailed or attacked by the government – that’s going to be a serious issue for freedom of the press in that particular state and around the world,” Pioli told RT. “It seems clear to us that Syrian journalists and media workers who have fled to Turkey are not safe at all,” it said. Ankara opening an investigation into Jerf’s death like it did in previous cases is “not enough,” the EFJ stressed. The Committee to Protect Journalists (CPJ) also sounded the alarm over Syrian journalists, who have fled to Turkey, being “not safe at all” in the country. 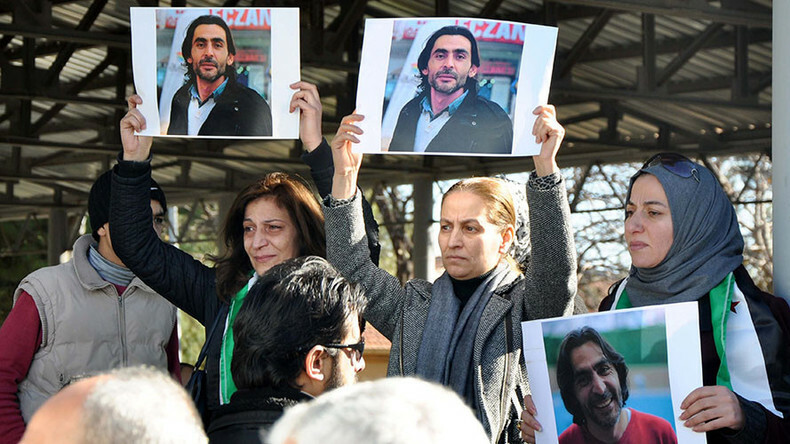 “We call on Turkish authorities to bring the killers of Naji Jerf to justice swiftly and transparently, and to step up measures to protect all Syrian journalists on Turkish soil,” Sherif Mansour, CPJ's Middle East and North Africa program coordinator, said. Former member of the Turkish parliament, Dr. Aykan Erdemir, told RT that more attacks on journalists are to be expected in the country. “It seems ISIL has developed quite an operational capacity on Turkish soil; that ISIL assassins seem to be able to go in and out of Turkey. And we can predict that similar atrocities will continue in the days to come,” he said. “From now on, not only the Syrian activists and journalists, but also Turkish journalists will not feel safe,” he added. As for the investigation of Jerf’s death, the former MP noted that “no one has been apprehended or brought before the court of law” in the killing of the two fellow Syrian journalists in October.